Come December, it is festive time in Sikkim. In fact the entire state is under the grip of various festivities that began from December 16. Government offices and institution have remained closed since December 16. The people of the state have been celebrating festivals with their families, relatives and friends and exchanging greetings over the phone, texts and social media. 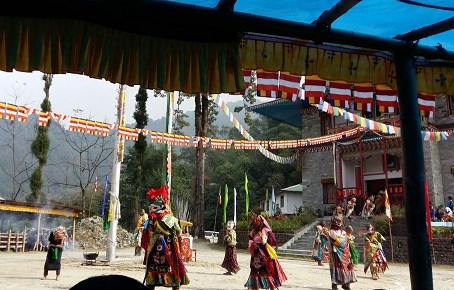 Festivities in the state started withKagyeddance, one of the most popular Buddhist festivals, at different monasteries in the state on December 16. On the occasion, masked monks perform dances symbolizing destruction of all evil and negative forces and thereby bringing in peace and prosperity for one and all in the coming New Year. Then comes the Nyenpa Guzomfestival onDecember 24. Obviously the next day, i.e., on December 25 people will celebrate Christmas. 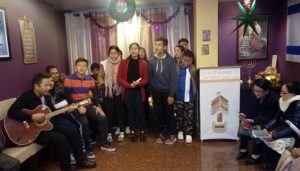 Carol sing-song and pre-Christmas celebrations by churches of Sikkim are on in grand manners since second week of this month. The people have decorated their houses with Christmas trees, lights and stars and have been exchanging greetings and gifts with each other. The year will end with another important festival of the state,Tamu Lochar onDecember 30.Tamu Locharis one of the traditional festivals of Gurung community and marks the beginning of the Gurung New Year. The Chief Minister of Sikkim, Pawan Chamling and his wife, Tika Maya Chamling also extended warm greetings to the people of Sikkim for these festivals. In his message to the people of Sikkim, the CM wished for abundance, peace and good health for the people of the state. He stated that the socio-cultural fabric of the Sikkimese society has been preserved through the celebrations of these festivals. He further said these were occasions for people to bury any ill feelings and negativity and celebrate the goodness in every human being. Chamling also extended his warm greetings and best wishes to the people of Sikkim for the New Year 2018. “May the New Year bring with it new energy and new possibilities for the people of Sikkim. Sikkim achieved a great deal in all spheres in the year gone by; and I hope, the coming year will see the state reach greater heights and glory,” he said.